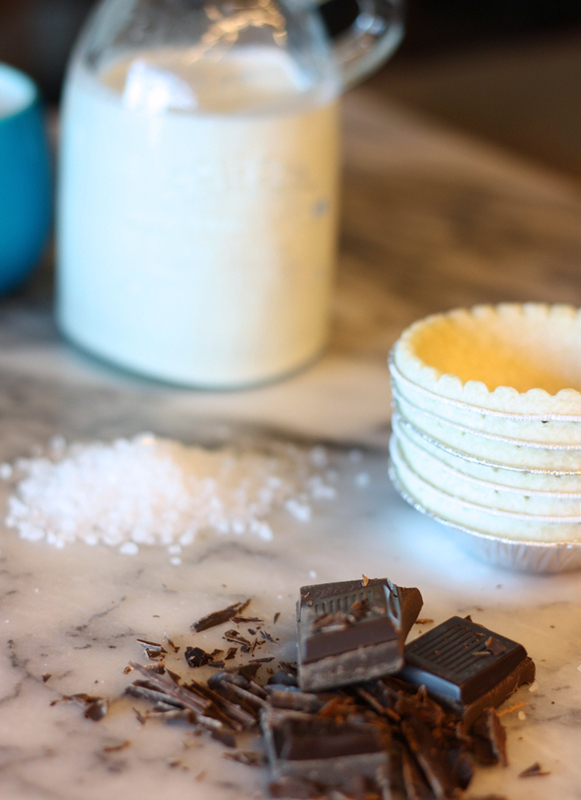 This is the ultimate sweet & salty recipe and extra bonus if you’re a chocolate lover. 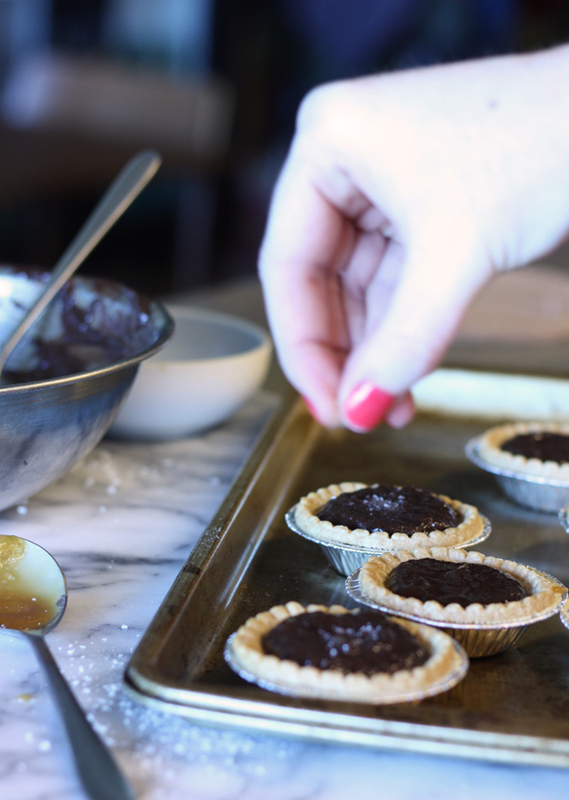 I love it all so these tarts put me over the top. 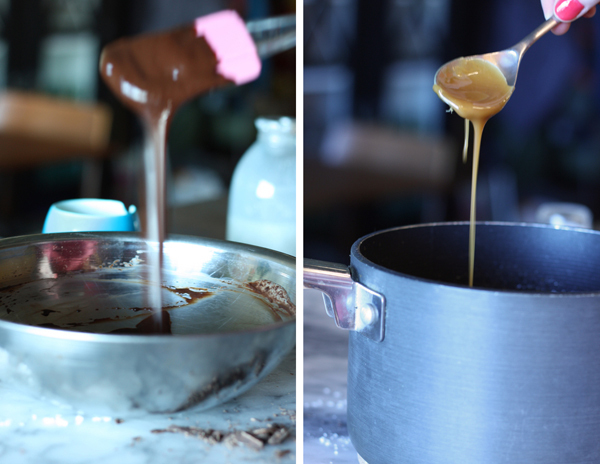 This was the first time I ever made caramel and I had no idea it was so easy! Which is dangerous because I’ve made this recipe 4 times since. Like all my baking experiments I always find some way to cheat. In this case it’s the tart shells. I opted to buy them already made rather than make them myself but let’s be honest, the tart shells are NOT the star of this show. 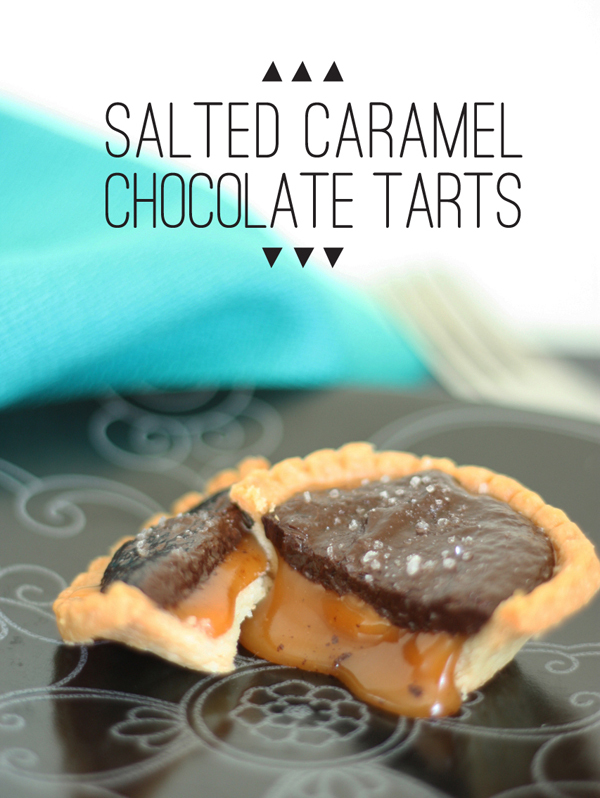 They are simply a buttery vessel to hold the salted caramel dark chocolate treasure. Keep reading to find out how to make these taste explosions. They aren’t as tricky as you think, promise! 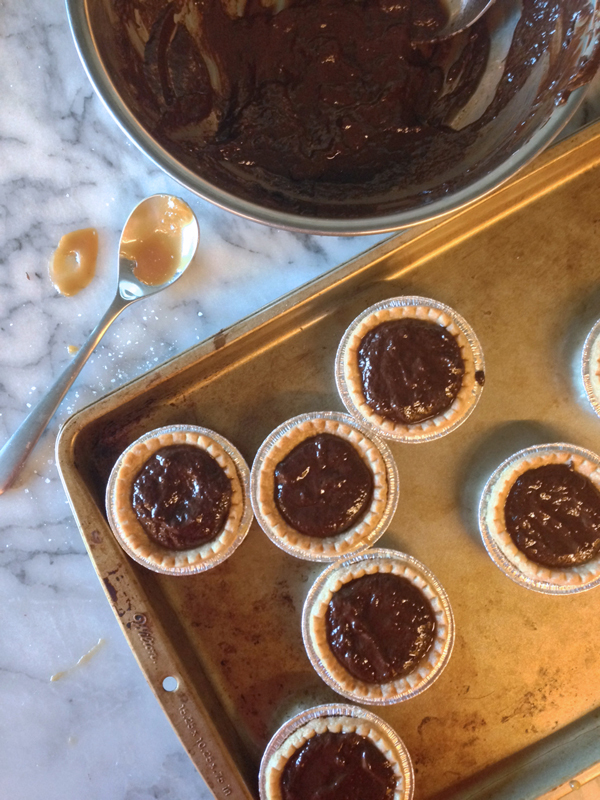 So these babies are made up of three parts – the tart shell (thanks grocery freezer section), the salted caramel and the chocolate ganache. 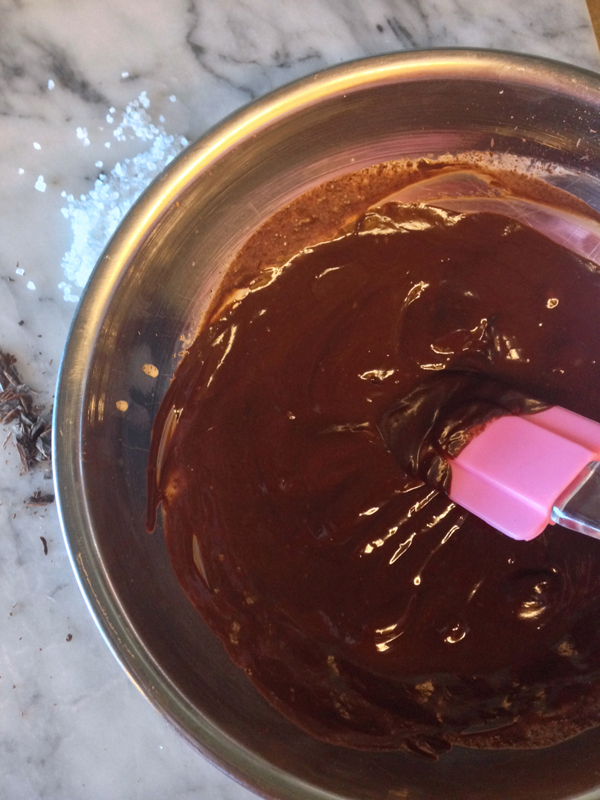 The caramel makes more than you need so you can keep it on hand in the fridge and the ganache is the quickest part. So really, after you’ve made the caramel the first time, you can whip these up super fast the next time or two. Heat granulated sugar in saucepan over medium heat, stirring constantly with a rubber spatula. Sugar will form clumps and eventually melt into a thick brown, amber-colored liquid as you continue to stir. Be careful not to burn. Once sugar is completely melted, immediately add the butter. Be careful in this step because the caramel will bubble rapidly when the butter is added.Very slowly add the 1/2 cup of heavy cream and allow to boil for 1 minute. Remove from heat and add the tbsp of salt. 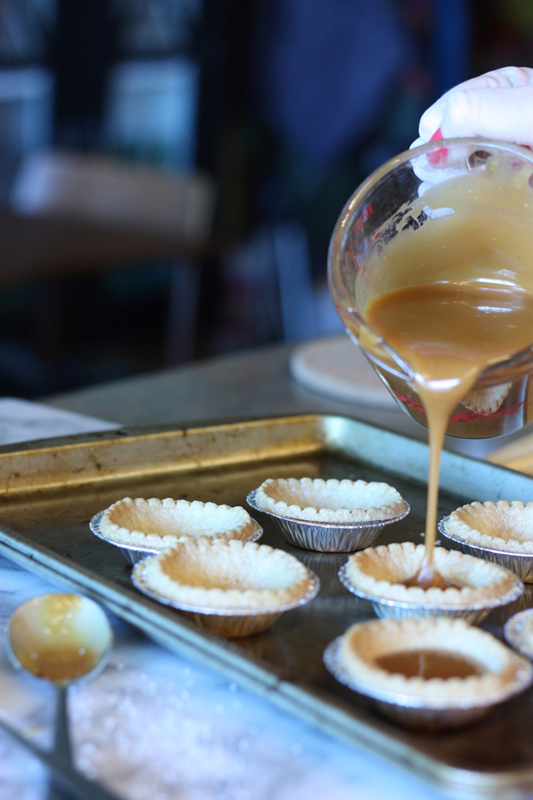 Pour the caramel into baked (as per instructions) tart shells leaving about 1/2 inch at the top and let cool in the fridge for at least 30 minutes. 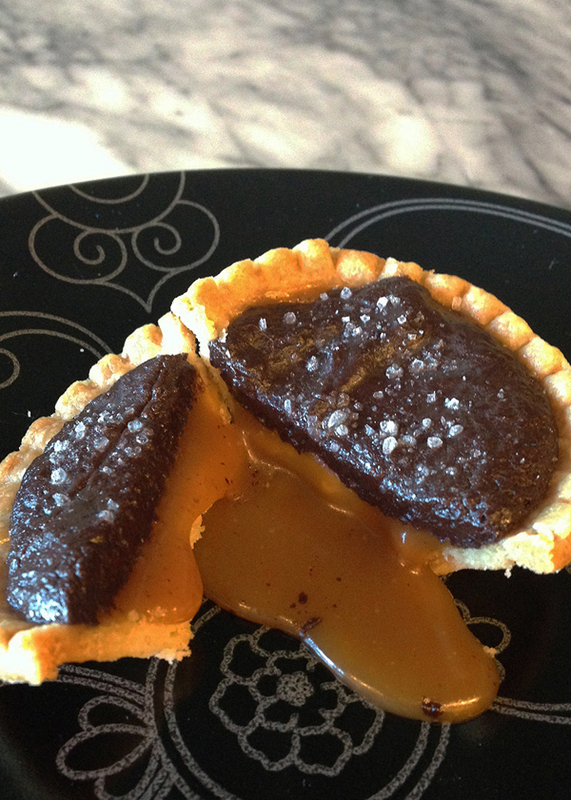 Once the caramel is cooled and somewhat firm make the chocolate ganach and pour over top. Heat the cream until just before it boils. 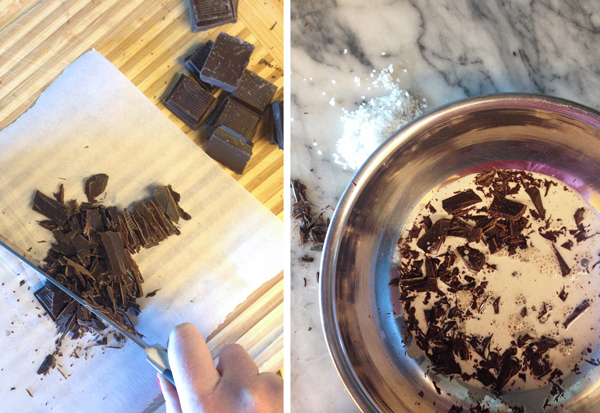 Remove from heat and combine with chopped chocolate & vanilla in a bowl. Stir until chocolate is melted then pour on top of caramel. Sprinkle lightly with sea salt and then let the drooling begin. Best taste combination ever. Pinned for weekend baking I hope! This is evil. I need to cheat. Looks great and super easy (thanks to the cheating part). Must definitely try this some time.